Meet one-on-one, socially and professionally, with our distinguished visitors and guests. Build important business relationships and lasting friendships around the world. Reciprocal hospitality opportunities with WorldMontana alumni when you travel abroad. Provides your organization with a direct connection to the most important contacts in our global economy. Helps keep you informed about the developments that are shaping the emerging global opportunities. Your company logo will be recognized as a supporter on the WorldMontana website and Facebook pages. Special invitations to WorldMontana business briefings and round tables. Opportunity to meet one-on-one, socially and professionally, with our distinguished visitors and guests. Excellent opportunity to help you build important business relationships and lasting friendships around the world. 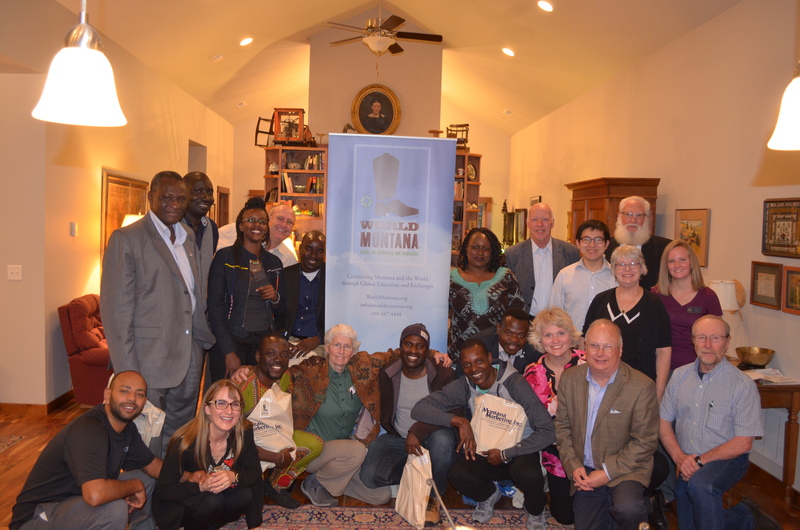 Special opportunities to meet with our friends and guests from countries around the world while helping them experience all Montana has to offer. Exclusive opportunities to meet with our State Department visitors, free or discounted admission to all WorldMontana® events, and reciprocal hospitality opportunities with WorldMontana® alumni when you are traveling abroad.